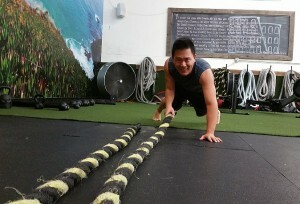 There are tons of personal trainers around Costa Mesa with personal training programs that may seem quite attractive. You’ve probably heard about some good trainers and some bad ones. 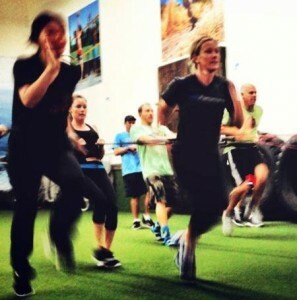 However, before you start choosing Costa Mesa personal trainers, several questions arise. Where do you start? 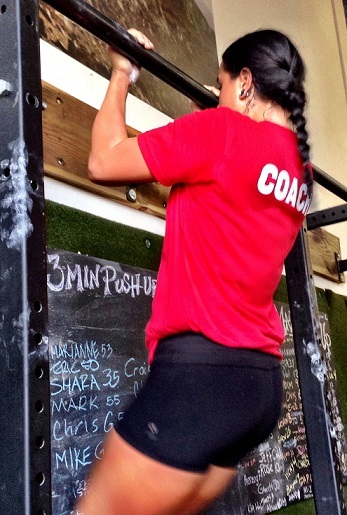 How do you find the right trainer for you? Are they worth your money? Don’t let another day pass, get started today! 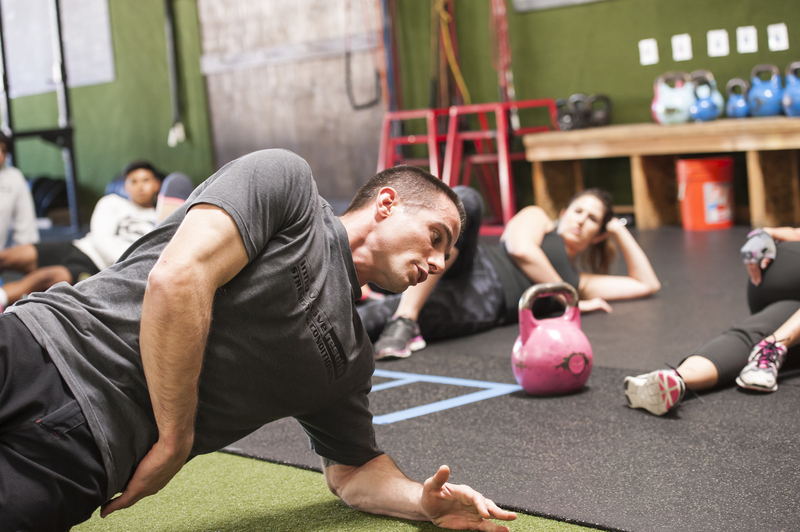 The personal trainers of Innovative Results in Costa Mesa have fitness training programs that have helped people transform their bodies, lose weight, gain muscle, and feel better about themselves. These are the reasons why in Costa Mesa, the personal training programs also used in Orange County have been voted #1 in Orange County for 2 years in a row! Email us at info@innovative-results.com for more information. Even coaches and leaders get into emotional slumps…and I was in one recently–NOT COOL, and most definitely NOT GOOD if you have people that rely on you! When in a slump, we must find what matters, and fight for it. How did I know I was in a slump? Getting up in the morning was a chore, and I didn’t become fully awake, alive, and energized until about 7am, which is THREE HOURS and 15 minutes INTO MY DAY! I felt like I wasn’t productive or high-performing. My training sets were barely finished, and lower performing than the earlier weeks. I craved sugar, beer, wine, and crappy food. My time with God and relationships in life felt disconnected or disjointed. Not the greatest question to ask in the middle of a slump, unless you want to play the victim, and spend more time in your slump. Taking responsibility for yourself and confronting the brutal facts is top priority if you are going to make it out. I am not sure if it was because I was in an ethereal-spiritual-philosophical haze of having a brand new baby girl or not working for over a week (I still worked, but very little compared to my normal) or it was just my time to experience a low week or time…but I was down. Drinking enough water– Too many times I was down because of dehydration, only to realize that a few glasses of water, picked me back up to full speed again. 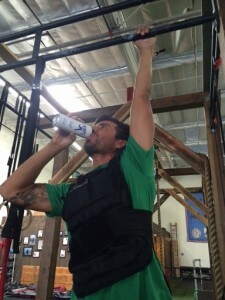 Here is another Innovative Results video on hydration. Afterwards, I felt the grip of dark emotions and slowed energy lift from me, and become replaced with what I describe as my high normal (feeling awake, alive, and energized…fully capable, competent, and confident…READY TO SMASH…Ready to LIVE!…READY TO SERVE…Joyfully praising through my life’s purpose. I believe that every slump and down part of our life has much to teach us, just like failure and winning has much to teach us as well. If you have read and watched your way to the end of this article, I hope you already feel better, and I am looking forward to fighting the good fight with you this day, week, and life!! May your mood be lifted, your dreams be tangible, your actions be swift, and your days be blessed beyond belief! 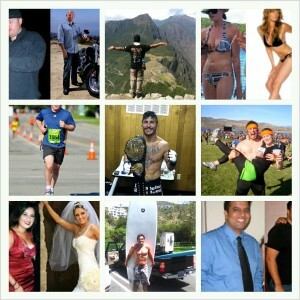 Innovative Results has been voted #1 personal trainers and gym in Orange County, CA. PURPS is Now Available at the IR Pro Shop! Developed right here in Newport Beach, CA, PURPS is a collaborative creation from the minds & hearts of American Pro Surfer Kelly Slater, RVCA Founder PM Tenore, and Dr. Chris Schaumburg. Creating three products, PURPS Hydro, PURPS Fuel, and PURPS Vita with what they call “The Purple Life Formula” which includes six purple superfruits: Mangosteen, Maqui Berry, Acai Berry, Blueberry, Grape and Blackberry. So what does all this purple goodness in a bottle mean for you? 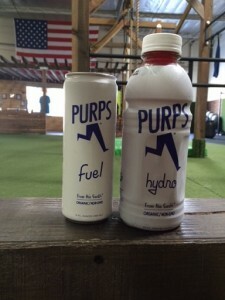 So if you are looking for an organic, non-GMO energy boost, or maybe a little added hydration after a workout try out a PURPS beverage at Innovative Results today! Read more about PURPS and their #PURPSITFORWARD Mission here. 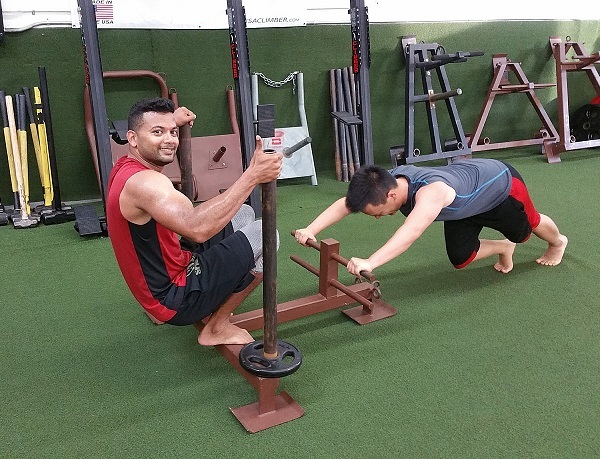 Calisthenics Training: What's In It for Me? Just for the crazy, the elite, and the muscle-heads? 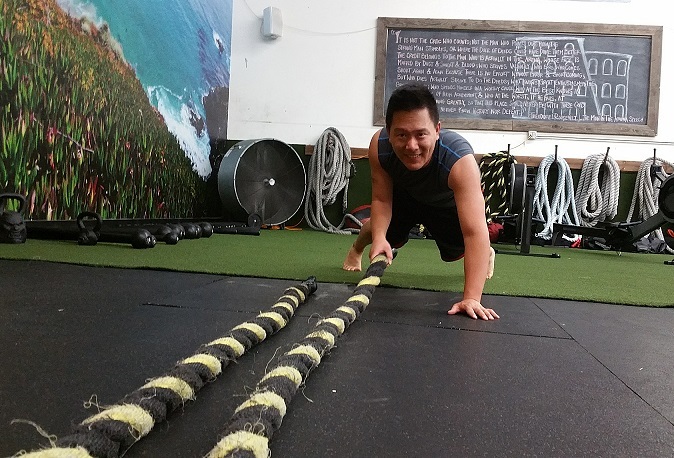 Calisthenics is a wave crashing hard into the fitness scene, and it is anything but NEW. Calisthenics is about “mastering one’s body” and the benefits surpass those of basic “throw the iron” muscle building workouts. 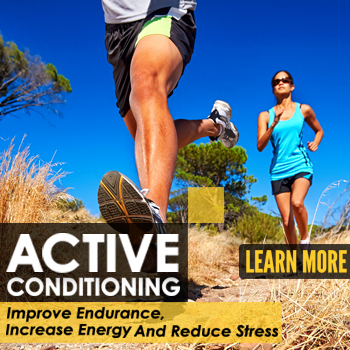 It’s about control on physiological, mental, and neurological levels. 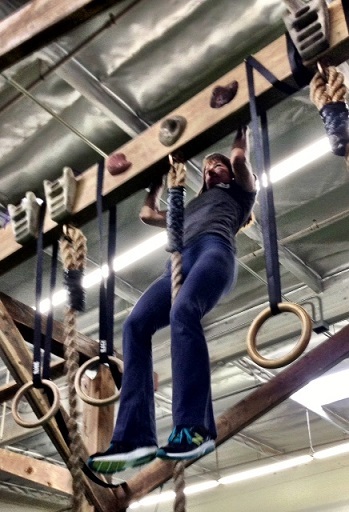 Have you ever wanted to do a proper push-up, pull-up or hand-stand? These are your calisthenics starting points, and with proper training you could soon be performing muscle ups, walking handstands, the human flag and many more bodyweight movements! Think you can’t get a good workout without the metal & iron? 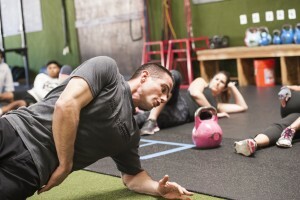 Calisthenics training is not about being the next American Ninja Warrior, so what can EVERYONE benefit from Calisthenics training? HOW DO I GET STARTED IN CALISTHENICS TRAINING?!?!?! 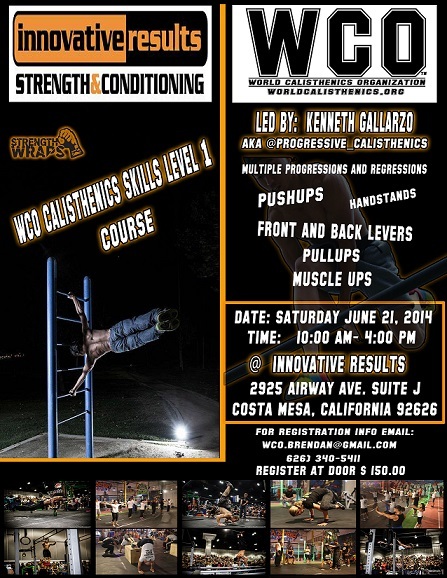 On Saturday, June 21st Brendan Cosso and the World Calisthenics Organization Crew will be conducting their World Famous WCO Bodyweight Skills Level 1 Workshop at the Innovative Results Facility. 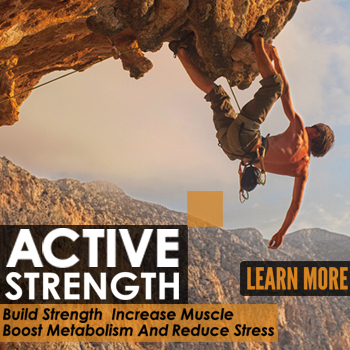 This is a 1-Day workshop that will take you through the physical & mental development in Sport of Calisthenics, with personal coaching, a training manual, a 1 hour nutrition lecture, and a certificate of completion! 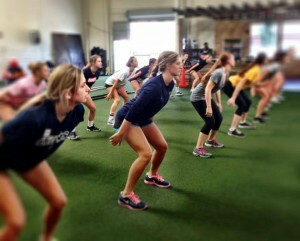 Check out Phase 1 & Phase 2 of the Bodyweight Skills Workshop Here! For more information on this workshop & how to register visit WCO’s Website! 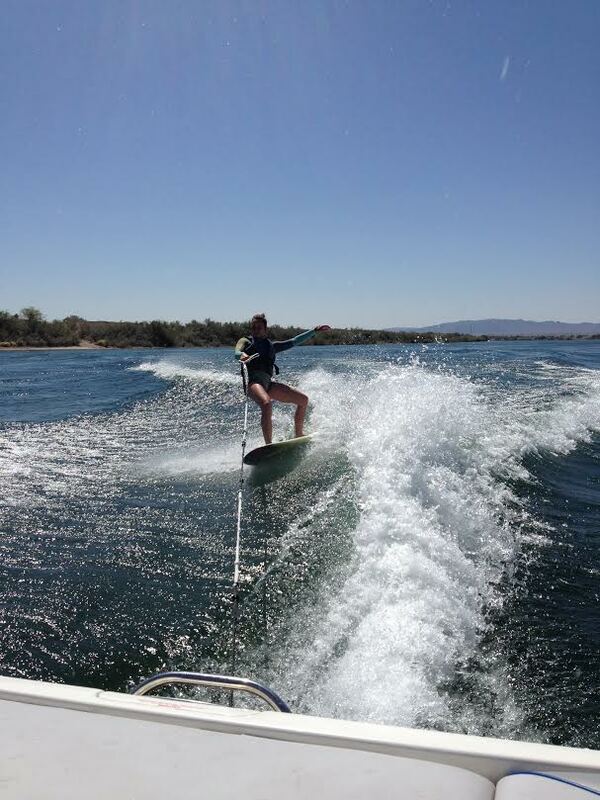 It’s Surfs Up for Brittney! 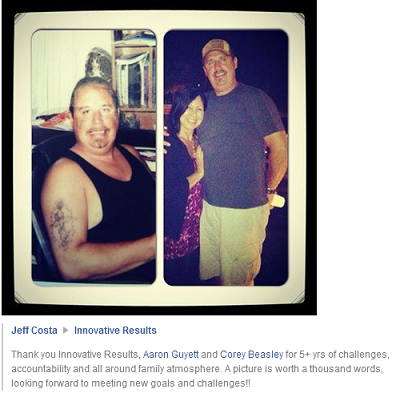 Another incredible testimonial from an amazing client! Working out at innovative results for the past nine months has really strengthened my surfing. The different strength and conditioning workouts have helped a lot with my paddling. I am able to paddle faster and for longer periods of time. This really helps when there is a strong current or when the waves are bigger. The workouts have also helped strengthen my core which helps me get up on my board faster and have better balance when riding on the waves. 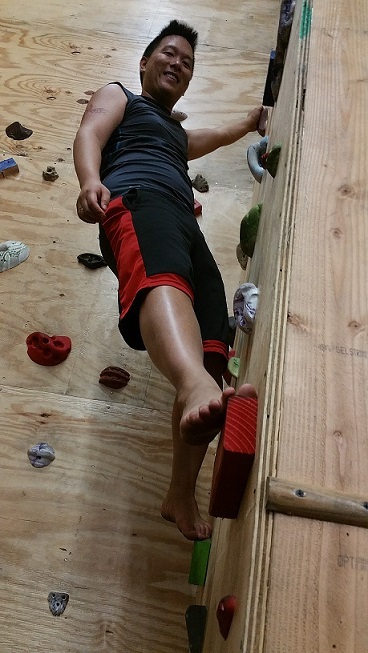 In all I have raised my endurance level which has really helped with my surfing, running and physical activities. Thanks for sharing your story Brittney! 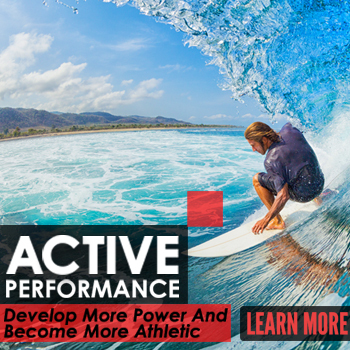 If you are looking to enhance performance in one of your extra curricular activities, or just looking to get back into a regular fitness routine give IR a call today 714.469.9338! Innovative Results interviewed the leaders of the organizations that we help every Saturday. The Charity Fundraiser is Fitness Training Session on Saturdays 10am, where 100% of your $10 donation is given to the local community. 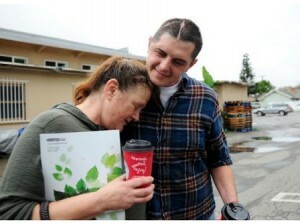 Check out one of the stories here. Innovative Results is proud to be a part of helping Jeff Costa get people off the street through our donations and awareness created through our Saturday charity training session every Saturday at 10am. Bring a suggested $10 donation, experience the best personal training in Orange County, and help GO Ministries improve the quality of life of the homeless…even getting people off of the street! 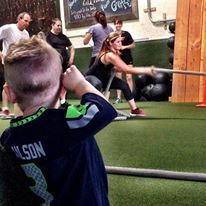 Come to Innovative Results Charity Fundraiser on Saturdays at 10 am to experience The Orange County Fitness Playground, as we help our local community in Costa Mesa. Did you know Costa Mesa, CA was named a “Best in Food” Finalist in the Rand McNally/USA Today “Best of the Road 2011” Contest? 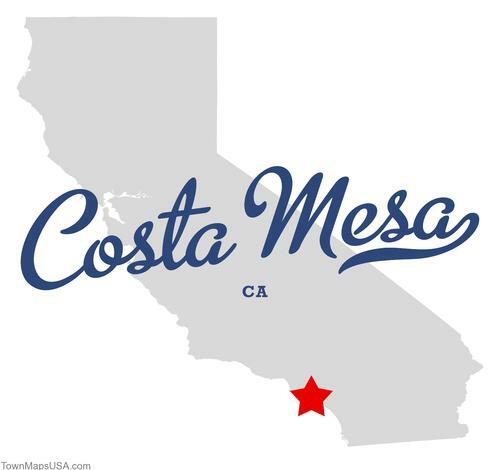 Competing with 5 other towns around the country Costa Mesa is now a legitimate “culinary destination.” Judges were taken to many Costa Mesa establishments including Mastro’s Steakhouse, Old Vine Café, Eat Chow, and Golden Truffle… Sound familiar? Get a Taste of Orange County! Costa Mesa will be home to the First-Ever OC Tastefest on Sunday May 5th! Run the OC Marathon and then get some grub. Wahoo’s Fish Tacos – Founded in 1988 by Chinese-Brazilian Brothers Eduardo Lee, Mingo Lee, and Wing Lam. Wahoo’s expanded and can now be found across California, Colorado, Hawaii, New York and Texas. 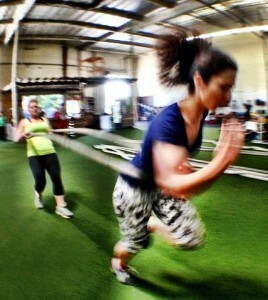 Get Up and Get Out in Costa Mesa! The Talbert Nature Preserve located right here in Costa Mesa, CA has nearly 2000 acres of scenic landscape! Hike, Bike, Jog or Walk, this preserve is family and pet friendly. This preserve recreates plant communities similar to those that existed in the Costa Mesa area before much of the land was put to use for agriculture, housing or industry. Enjoy some and get some fresh air and exercise! 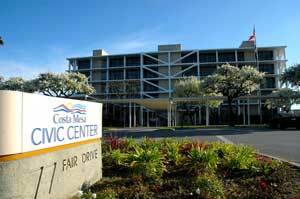 Thank you City of Costa Mesa!